While I was in Hong Kong I bought a few awesome polishes, but I haven’t had the chance to swatch them yet. So instead, today I have swatches of some Revlon Scented Nail Polishes to show you guys. 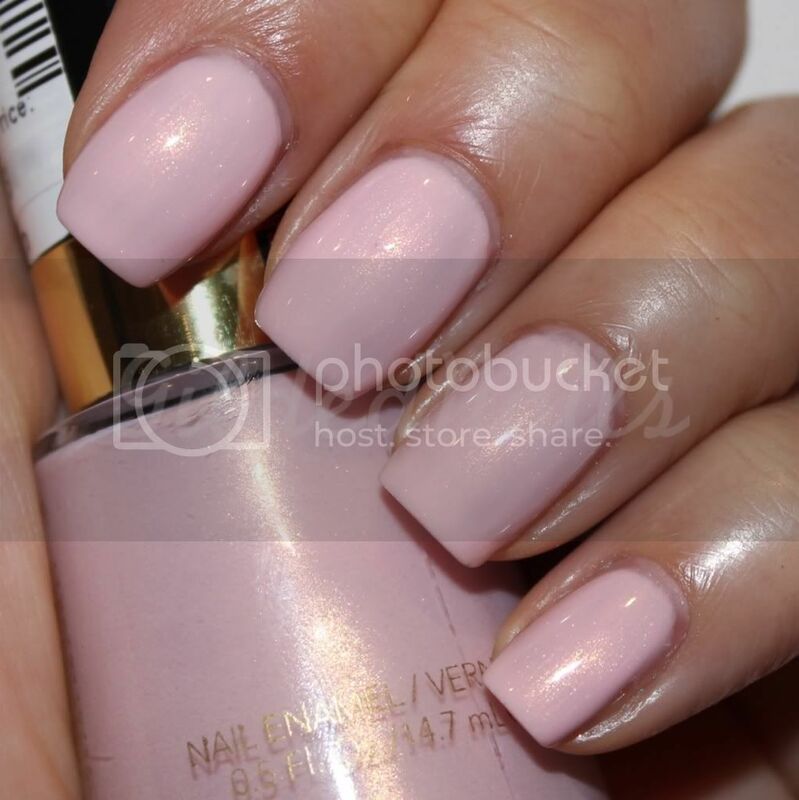 Cotton Candy – Pale pink with a gorgeous shimmer. This definitely smells like sweet Cotton Candy! Sometimes pinks like this can look really stark against my skin, but this is such a flattering colour! This was two coats. Grape Icy – Frosty purple with shimmer. Grapy Icy smells like grape flavoured gum to me, and as a kid growing up, grape gum was my favourite! So naturally I love this one! I wasn’t sure about the way the colour looked in the bottle, but it looked amazing on the nails, so this is a winner in my books! This was two coats. Bubble Gum – Opaque hot pink cream that smells as the name suggests, like Bubble Gum! This was only two coats. Not an entirely unique colour, but application was great and the smell is yummy! 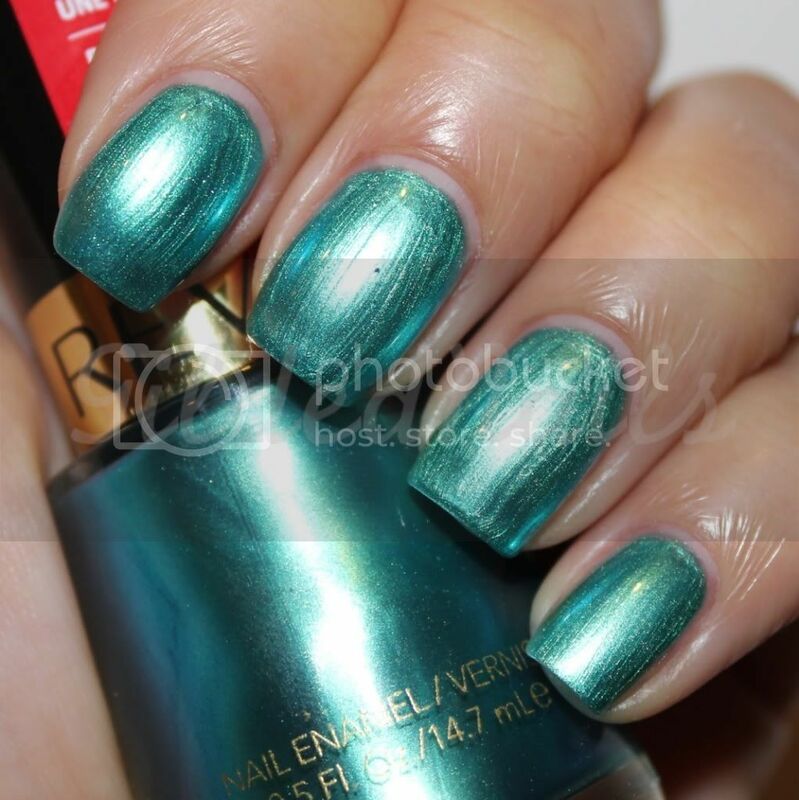 Beach – Frosty light green shimmer with a fresh, beachy scent. This required three coats. This scent and colour was probably my least favourite out of the lot. It was a little synthetic smelling compared to the rest of the polishes. 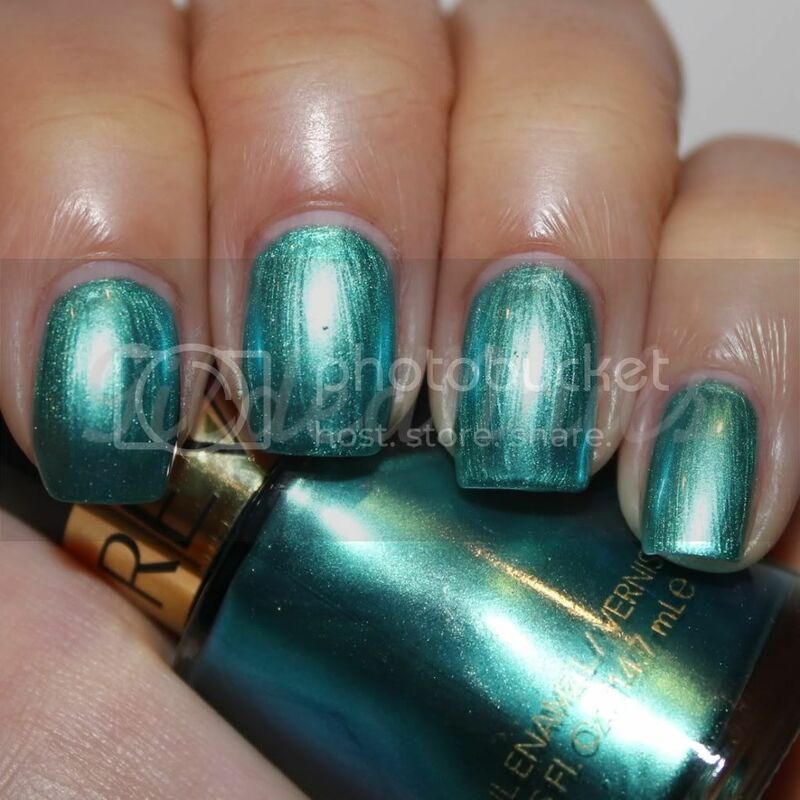 Ocean Breeze – Frosty blue/green with shimmer. This one smells like air freshener. I’m not a massive fan of the brush strokes, but I love the colour! Gum Drop – Pale lavender cream with a sugary sweet candy smell. This needed three coats, but I think the final product looks great. Peach Smoothie – Pale peach with shimmer, and again as the name suggests, it smells like peaches! This needed two coats. I loved this one so much I wore it as my mani for the day. 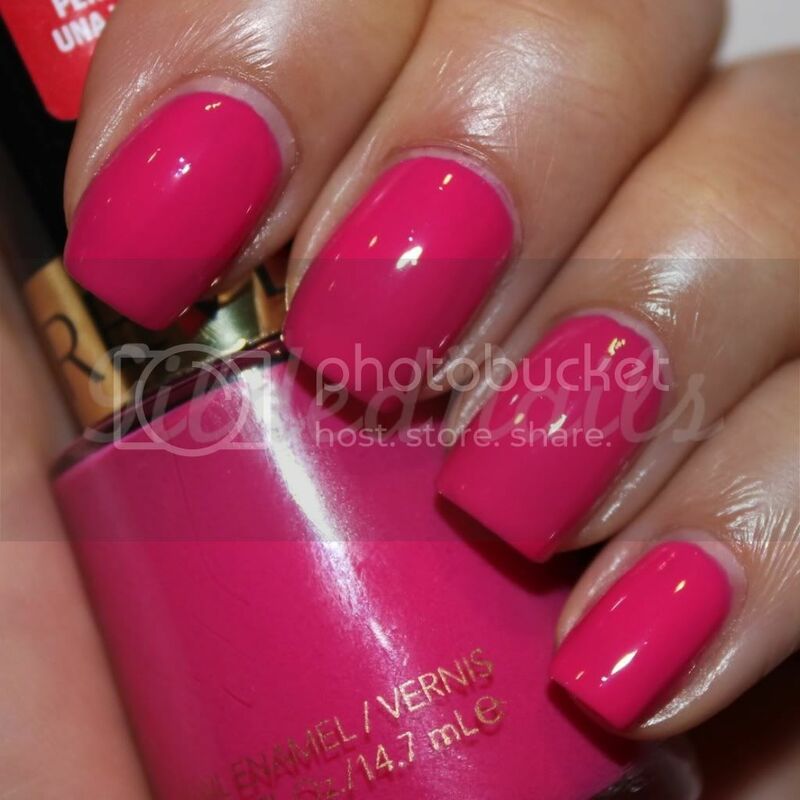 Overall I was quite impressed with these scented nail polishes from Revlon. My past experiences with Revlon haven’t been anything to write home about, but these have changed my mind! The application was even and smooth for every colour, requiring either two or three coats, and the scents weren’t overpowering or off-putting in any way. What do you guys think? You can pick these up from Fashion Addict for $4.95AUD each. The items featured in this post were provided for review. For further information on GildedNails' Disclosure Policy, please click here. Hey everyone! First of all, apologies for the lack of posts over the past week. My week in Hong Kong went by so quickly! I spent pretty much every day and evening out and about with my parents and sister so I didn't have the time to do any posts. I feel like a giant puffer fish now from all the eating! But I am back home now, so I will get back into regular posting this week. 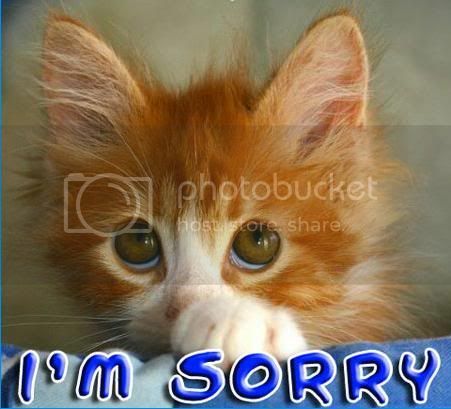 I also have to apologise for not replying to all the comments you guys have been leaving. I know how much I hate it when a blogger doesn't respond to my comments, so I am truly sorry for slacking off in that regard. I promise by the end of the week, I will have replied to all your comments. On a different note, I have had some emails and comments from some followers who have been having difficulty with viewing the photos in my posts. Unfortunately, I have not been able to detect this issue using my computer. So if there are specific posts that you read which have issues, can you please leave a comment below with the name of the post so that I can fix it up. 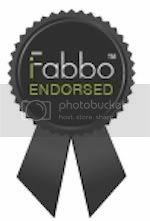 I have started using Photobucket instead of Imageshack to host my photos, so hopefully that rectifies the issue. It would be wayyyy too time consuming to reload all my photos for each post, so for the moment I prefer to fix the issue on a post by post basis. I also wanted to remind everyone that there's only a couple of days left to get your name down for my 500 Follower Giveaway. I have had an enormous number of entries for this giveaway, but I promise it won't take me as long as it normally does to post the winner. As you probably noticed, I used a Google Form this time which takes a lot of the hard work out of sorting the entries. Tomorrow I will also be announcing the OPI Giveaway Winner, so stay tuned for that! Please update your bookmarks and favourites with this new URL. You will also notice that I have added a "Follow by Email" gadget on the right side bar. Simply enter your email address there and you will receive updates from GildedNails straight to your inbox! Hey everyone! Quick post today. We were out and about all day so I'm super tired!!!! Today I have some swatches of three of the colours from the new Orly Precious collection. Pure Porcelain - Light beige cream. This was a really opaque colour and only required two coats. However it was a little on the thick side, so I had to be a little more careful than usual when applying it so that it had an even finish. It is a rather stark cream, but I still think you could wear this as a workplace neutral. Ancient Jade - Bright jade cream. Like Pure Porcelain, this colour was really opaque and only required two coats for a smooth, even finish. I looooove jade/mint coloured polishes like this! They are so fresh and fun! Sapphire Silk - Dark teal cream. This polish was really interesting, as it had an almost a jelly texture, but after two coats, it had the same finish as a cream. I think this is why it was really easy to apply. This was two coats. I think my favourite out of the three was Sapphire Silk, mostly because of the texture of the polish. Which ones are you loving??? The Precious collection can be purchased from Orly Australia and retail for $18.95ea. Don't forget, there is still another week left to get your name down for my 500 Follower Giveaway, which includes the Orly Viva collection! After a pretty crappy start to my trip (long but awesome flight because I got upgraded to business class!! yay!!) I'm now here in my parent's apartment on Hong Kong island. I have a whole week here to relax and go shopping and I'm really looking forward to it! Before I left home, I did swatches of a whole bunch of colours so that I still had stuff to post while I was away. Today I have OPI's Simply Smashing and Black Shatter to show you. I'm a little late to the party with this one, but I still wanted to show you guys anyway. Simply Smashing is one of those ugly pretty colours in my opinion. I'm not really convinced I like it, but it is an unusual colour so it wins points on that account. It was a little sheer, but it built up with the second coat. However you could still see VNL. This colour definitely reminds me of a tennis ball! Simply Smashing was released in a set with Black Shatter, the black crackle polish. I added a coat of this over Simply Smashing. I personally am not a fan of this duo.... I love Black Shatter, but I'm just not feeling it over the top of this colour. It's just a quick post for today. I'm still trying to get used to the time zone and I want to get up early tomorrow to go out shopping (and hunting for nail polish!). Hopefully the nail polish fairies are on my side and I find some awesome stuff to show you while I'm here - wish me luck! I was just browsing the internet and found this article on The Heat Group website. I am so excited to be able to finally try Essence polishes! I wonder if anyone has seen them in Priceline in Sydney yet??? "Essence Cosmetics, Europe’s favourite cosmetic brand, has been launched into seven Melbourne Priceline stores with a complete rollout across Australia scheduled for early next year. Essence is the number one cosmetics brand in Germany and represents a quarter of the cosmetics sales in this market. It has recently overtaken a key international brand as the leader in that market. Essence is in 32 countries and is the leader in unit market share in 7 countries. The brand is all about colour – eye-catching nail colour in a wide range of shades, beautifully coloured lipsticks and glosses, and eyeshadows in any colour you desire. Not to mention blushes, bronzers and concealers to give your face a glowing complexion. Essence is quick to market and boasts regularly on-trend collections. Essence was the only cosmetics brand to obtain the rights to a Twilight inspired makeup collection of eyes, nails and lips. So what is different about Essence? It’s the brand’s positioning in the cosmetics market where is creates its own segment – Essence is a very accessibly priced brand that is right on-trend. The range starts from $2.95 for nail colour and $5.95 for mascara and quad eyeshadows. The on-trend products boast excellent coverage, vibrant pigments and super smooth textures. Essence is supported by its face – Cosma – the brands poster women. With her own constantly evolving looks, Cosma speaks to all consumers whether they prefer a natural, vibrant, catwalk inspired or glamorous look. And despite the young imagery, although the core market of Essence is 13-25, sales from international markets show that this brand is purchased by all women whether they are 16 or 60. Essence is not just a new brand, everything about it is new! It’s a completely new approach to cosmetics!" Hey everyone! Today I have swatches of two of the colours from the Zoya Wicked & Wonderful collection. Now I know all you Northern Hemisphere folk may have already seen these polishes as the collection was released in the USA a few months ago; however, the collection was only released a couple of weeks ago here in Australia to coincide with the start of our Autumn/Winter season. I'm going to be honest and say that up until a couple of weeks ago, I had no idea that Zoya was even sold here in Australia! I also have no idea where I got this impression from, but this is not the case at all! Haha! You can definitely buy Zoya here in Australia and you can even buy it online if you find it isn't stocked somewhere near where you live! Kristi - Bright true red cream. Zoya describes this as a cream, but it almost has a slight jelly finish to it. This meant that the polish was a little sheer, and as such, I had to use three coats to get the opacity I desired. However, the formula was great, so applying a third coat didn't cause any issues. Julieanne - Dark purple with gold, peach, yellow and green duochrome flashes. I absolutely love this polish! It is so complex and fascinating. The duochrome effect was a little difficult to capture with my camera, but you can see it in the corners of the bottle in the photos below and it was definitely visible on the nail. Julieanne only required two coats and applied like a dream! I took extra photos of this one because it was my favourite out of the two! Both of these polishes were richly pigmented, applied really well and dried really quickly. The added bonus is that all Zoya polishes are formaldehyde, toluene, camphor & dibutyl phthalate free. I am personally really excited for Autumn and Winter this year! I am loving all the fashion and beauty trends in stores and I'm especially loving the winter nail trends! I tend to favour darker nail colours in the winter and I can see myself wearing these two colours over and over again throughout autumn and winter! Zoya retails for $17AUD and my Australian readers can pick up Zoya from Art of Beauty Australia. What do you guys think of these? Thank you so much to all of you for helping me reach this awesome milestone! I didn't think it would happen so quickly, so I'm kind of at a loss as to how to celebrate! I wanted to hold a giveaway to celebrate this milestone, but we are still in the middle of my 500 Follower Giveaway! So leave it with me and I will try and come up with something over the next few days! Once again, thank you so much for all your support! You guys rock! Hey everyone! Hope you are having a great week! I have been ridiculously busy at work the past three days trying to tie up lose ends before I start my new job and before I go to Hong Kong on the weekend. Only two more days and I'm out of here!! But here are the pics of the two together on my nails and if you can see the difference, you have better eyes than me! I honestly could not tell the difference and in fact, I got confused after a while about which brand was on each nail! I have taken photos in multiple lighting conditions to show that it isn't just the lighting that makes them seem identical! So what do you guys think? Even if there is a slight difference, for $2.25AUD (compared to $39AUD!) it's a bargain dupe! I would suggest all my Aussie readers get their butts down to their local chemist and grab three or four bottles! Hey everyone! I haven't done one of these blog wraps in forever, but there were a few posts I have seen this week that really caught my eye, so I thought I'd share them with you! Check out China Glaze OMG! Holo Skittle madness here! I NEEEEEED these two polishes! Are any of these colours possible dupes? Holy moly! This mani is freakin awesome! I really need to use my Nfu Oh's more! I have a serious lemming for this polish! Should I splash out on the whole range? I have a draw full of Essies that I still need to swatch, but that doesn't stop me front wanting these babies! 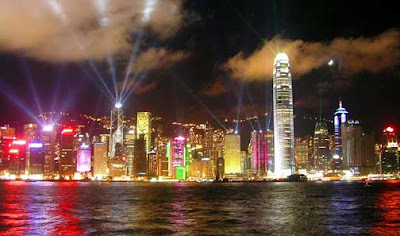 On a side note, I am going to Hong Kong next week to visit my parents (yay!!)... Do you guys have any recommendations for different brands of polishes I can get over there???? I have been there a few times before but I wasn't in my nail phase during those trips, so I never picked anything up! I'd love to find some Asian exclusive brands or polishes, so any tips would be great! Hey everyone! Hope you are having a great weekend! I spent over 4 hours swatching yesterday and I will be showing you the fruits of that marathon swatch-fest over this coming week! Today I have two of the nail polishes just released with Illamasqua's Toxic Nature collection. My exposure to Illamasqua polishes has been limited because of how expensive they are in Australia, but I'm glad to say that the few times I have used their polishes, the formula and application has been great. These two were no exception. Purity - Light peach cream. 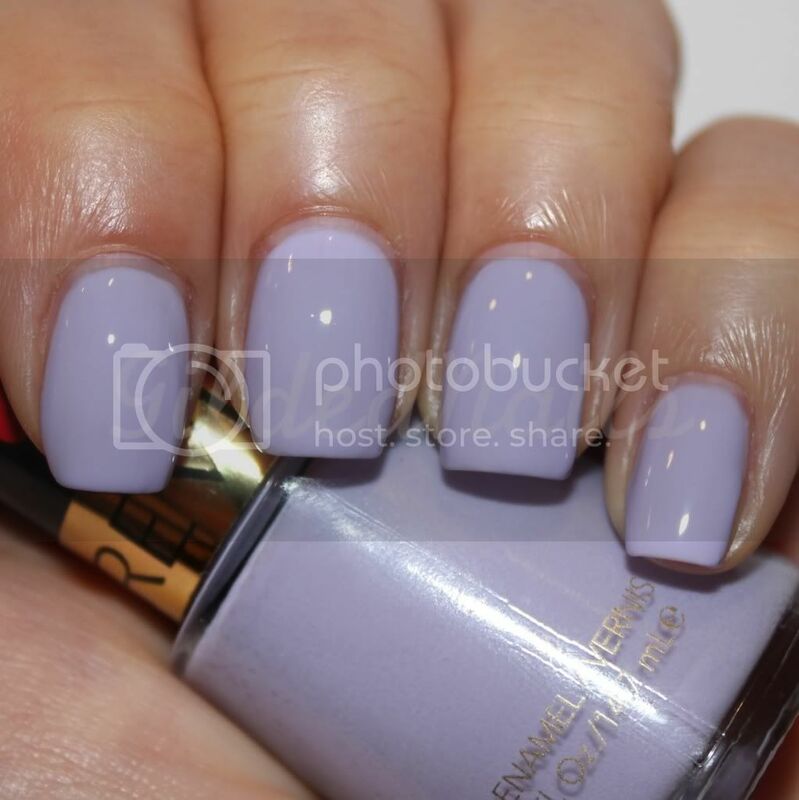 I have been on the search for a colour like this for a really long time! I thought that China Glaze's Peachy Keen was my Holy Grail when it came out, but the colour was wrong. Purity on the other hand is perfect! You can see a comparison of the two colours here. This is two coats. 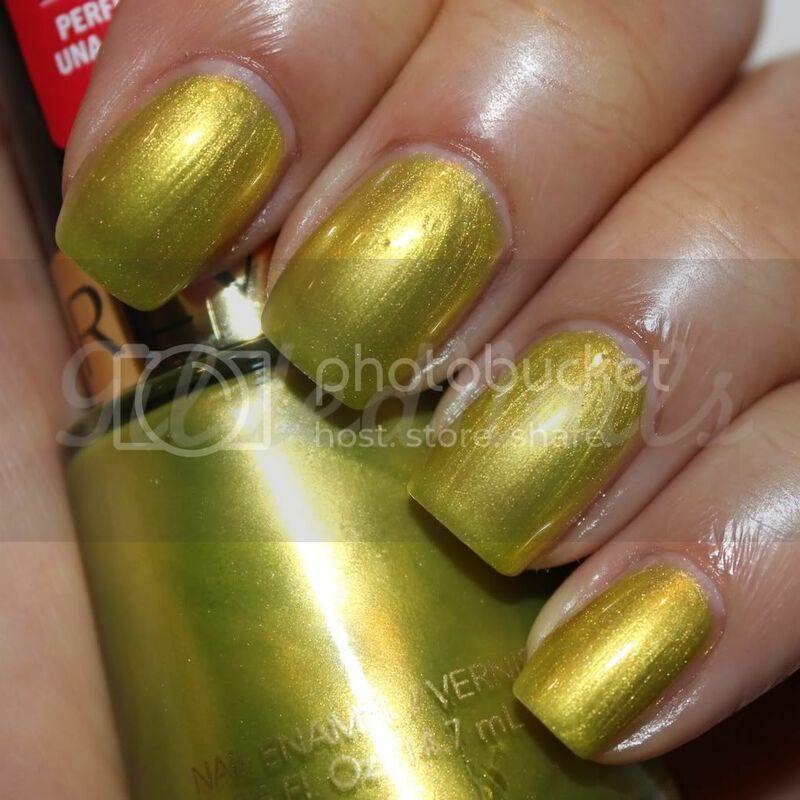 Radium - Illamasqua describes this as an "acidic lime, shimmer finish" and that is spot on! The chemical element Radium is radioactive and luminescent and this polish definitely looks like it has a radioactive glow! Bright, shimmery, green goodness! After trying these two Illamasqua's I am now officially lemming every single one of their polishes! haha! What do you guys think of these? New Models Own Polishes Now Available! I've been a very, very bad girl!